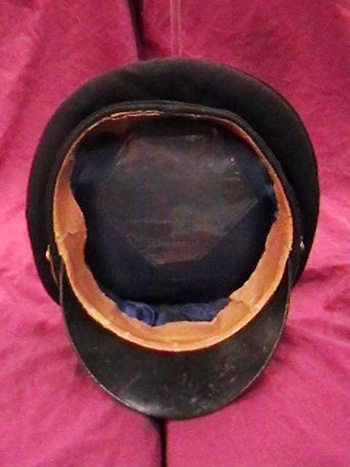 In Military and Wartime > Military Hats and Caps > Show & Tell. 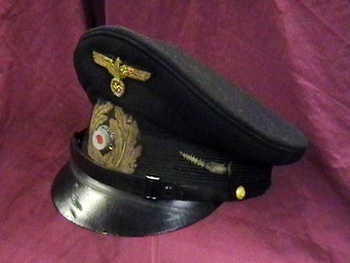 WW II NCO visor cap as worn by a crew member of U 106. The cap is the standard NCO visor cap with gold bullion insignia. 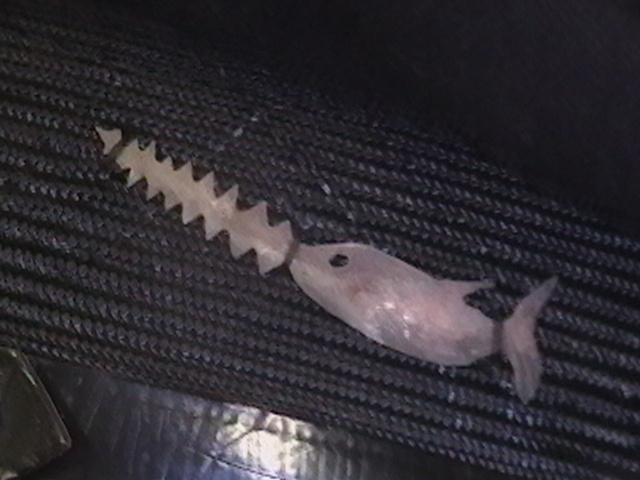 The hand made saw fish was the emblem that crew members chose as the boat's insignia. 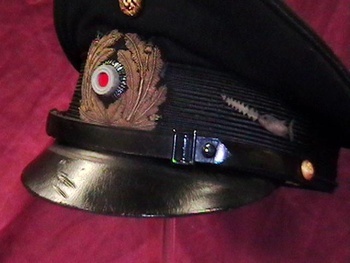 This type of insignia was unofficial, and tolerated by the high command.